At the Queen Elizabeth Olympic Park you’ll be spoilt for choice if you were looking for running events to take part in as they host so many fantastic runs throughout the year. This one is a little bit special however as it’s their very first half marathon! 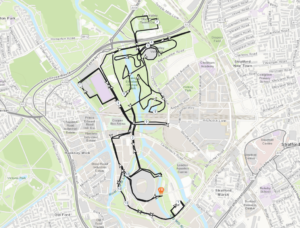 This road closed half marathon will start and finish at the Park and on route you’ll pass iconic attractions and venues such as the ArcelorMittal Orbit, Lee Valley VeloPark and of course London Stadium. Each mile of this run will be accurately marked out with distance flags and plenty of helpers to keep you on track and to encourage you on your way to the finish. Included is a unique themed medal, limited edition finishers t-shirt water, official race photographs and goody bag. Early bird entries are £34 and all participants must be 17 and over. The Queen Elizabeth Olympic Park Half Marathon takes place on Sunday 10th February 2019. This is a mass participation event which will close most of the major roads around the Park. The event will see over 4000 runners run 13.1 miles within the Park boundary, the first ever held. This race will involve multiple road closures; further details can be found below. 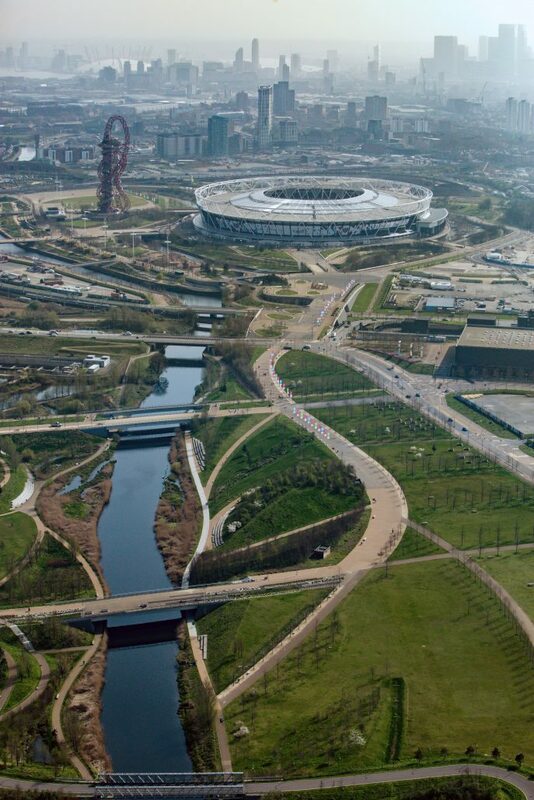 The event village will be held on and around London Stadium island and the South Park Lawn. A video of the course can be viewed here. Please note that you can change the playback speed on the video by adjusting the orange icon next to the play button. 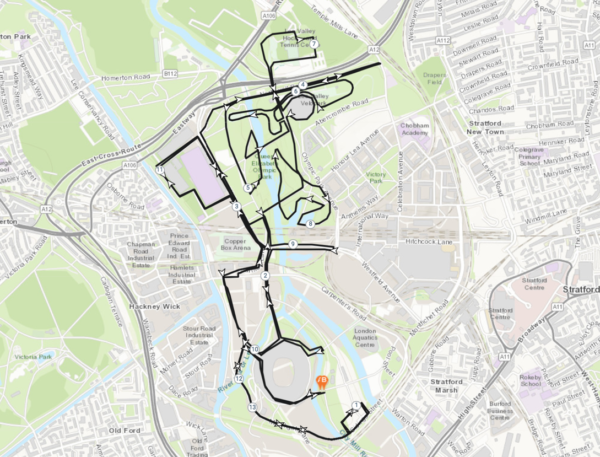 The following roads will be closed for the event from 08:00 until midday – Waterden Road, Parkes Street, Lesney Avenue, East Bay Lane and Westfield Avenue (from Waterden Road to Olympic Park Avenue). In addition to the above, Clarnico Lane and the entire Loop Road will closed from 08:00 to 12.30. Please note, no residential roads will be closed.